CJ Freshway (CEO: Moon Jong-Suk), a company specializing in the distribution of food ingredients and the catering service of the CJ Group, has stepped up its efforts to expand farming fields under contract with farmers in pursuit of mutual growth of companies and farmers. 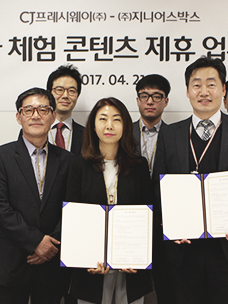 In 2016, CJ Freshway purchased approximately 120 billion won worth of agricultural products via contracts with 560 farming families in 12 regions, including Gangneung and Jeju. They grew nine items such as rice, onions, strawberries, radishes and potatoes under contracts and produced about 19,000 tons. 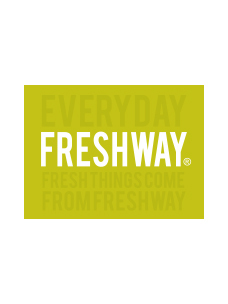 This year, CJ Freshway is planning to accelerate a win-win drive with farmers by greatly expanding its contract cultivation area. 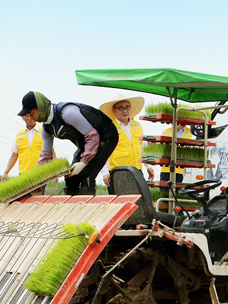 By increasing the cultivation area about three-fold compared to last year, ten items will be cultivated in 1,100ha of farmland which is four times as wide as the Yeouido area. As the cultivation area expanded, farms that participated in contract cultivation naturally increased to 800. CJ Freshway forecasts that they will grow up to 28,000 tons of these crops. In particular, CJ Freshway is planning to consume 5,000 tons of rice annually through contract cultivation with 250 farms in the Iksan area of North Jeolla Province and 8,000 tons of radishes and cabbage through the same method in cooperation with 80 highland farms on Jeju Island and in Gangneung. Contract farming allows farmers to expect to generate stable income without worrying about finding buyers, and companies to secure product and price competitiveness by securing the desired volume of high-quality agricultural products. Thus, both farmers and companies can enjoy mutual growth. In addition, contract farming will greatly reduce distribution stages, so fresher farming products can be immediately put on the table. Generally, agricultural products go through five stages (producing area → buyers at production areas → joint market (auction) → manufacturer (flour milling) → CJ Freshway). But contract farming reduces them to three (producing area → local agricultural corporations → CJ Freshway). Agricultural products procured through contract cultivation at producing areas are supplied to the market through CJ Freshway's nationwide distribution network, and are used as foodstuffs for food services entrusted to CJ Freshway or by food manufacturers and large-scale franchise restaurants. "Win-win programs such as cultivating contracts with farmers represent the creating shared value (CSV) philosophy of the CJ Group as a whole," said a member of the Agricultural Product Team at CJ Freshway. “We will put forth efforts to promote sales at home and abroad by steadily pushing ahead with farming contracts with farmers."